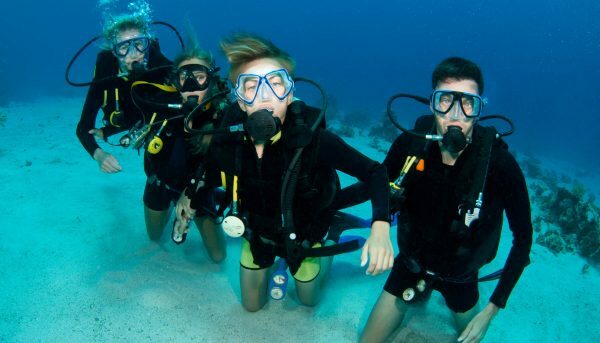 The Scuba Review or FreshUp Programs are for Divers which didn’t dived for around 1 year. At Chang Diving we highly Recommend a Re-Fresher Program if you are unsure or haven’t dived for a longer period of Time. In this Program we will give you a Fresh up on your Basic Dive Skills out of the Open Water Driver Course. The Scuba Review or FreshUp Programs are for Divers which took a longer break from diving and aren’t that confident in their own skill levels anymore. We highly Recommend a Re-Fresher Program if you are unsure or haven’t dived for a longer period of Time. We will give you a Fresh up on the Basic Dive Skills, out of the Open Water Driver Course. The Programs are Designed to bring you safely back into the Water, if you haven’t been in the Water for a while of inactivity. The PADI and SDI Scuba Review is a Registration Program 1 Day 2 Dives. Works by Agencies Standards to make sure every program is same. Our Chang Diving Fresh-Up or Fresh-Up its exactly the same program. The only difference is that you will not be registered by the Agency. If you think about taking the next Scuba Diving Course after you didn’t dived a longer time we recommend you a Scuba Review or Fresh-Up first. Before you start into new exciting adventures. You will get used to the Dive Gear and the environment again. Everything from the Boat and in your First Dive. If you are comfortable after the first dive, your second dive will be a fun dive. If you wish to re-train some specific things we will do this at your second dive of the day.